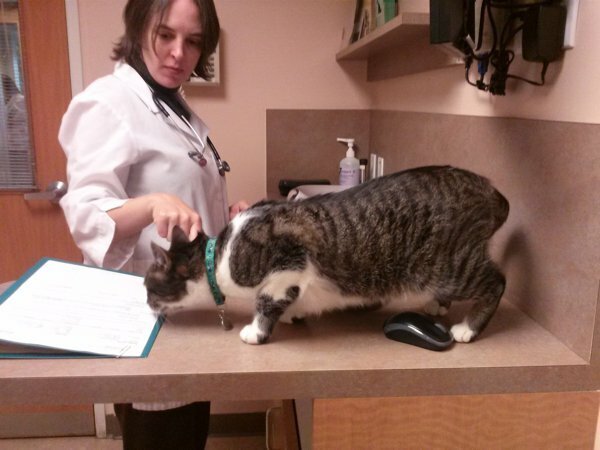 You are here: Home / Cat Behavior / My Cat Gets Really Aggressive At the Vet. Help! So I am looking for help about my one year old male cat. He is an absolute sweetheart at home. He gets along well with my two other cats. He is very gentle while playing. He is okay with strangers visiting the house. He doesn’t get stressed with changing environments and is very friendly. The problem is at the vet he is the complete opposite. He attacks both us and the vet. He also gets so scared of the vet he refuses to leave his carrier. I adopted him and little is known about his past but he appears to have been a house cat because of his friendly nature, because of this I do not know is he had previous trauma in a vet. Last time we took him to the vet was 5 months ago. We barely got him microchipped, and that left scars on both the vet and me. While sedating is an option, many of the vets I’ve visited will not sedate him for simple things like a checkup and I myself do not want him sedated for every checkup as I’ve heard there are health risks for sedating a cat too much. I need advice for calming him down at the vet. Thomas: Thanks for bringing this up, Aisha. 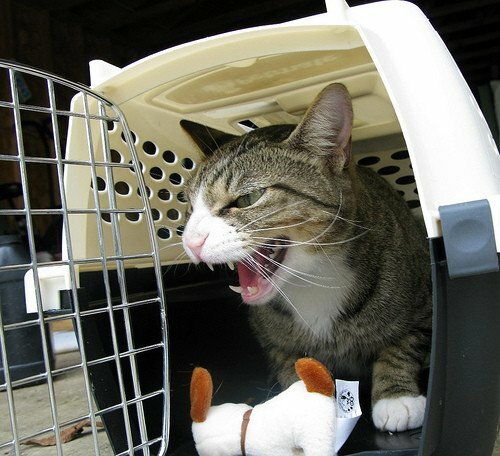 Fear and aggression are the primary reasons cats see the vet a lot less often than dogs do. But fortunately, there are some things you and the vet can do to help keep your kitty calmer. Bella: First of all, you’ll need to get your kitty less afraid of the carrier. You can do that by leaving the carrier out for several days and putting treats in it. When you have to go to the vet, use a pheromone spray or pheromone wipes to help kitty feel calmer while he’s actually in the carrier. Thomas: Another important thing is to go to a veterinary clinic where they know how to handle stressed and fearful cats. Bella: A cat-only veterinary clinic is a very good choice, if there’s one in your area. Thomas: We go to a cat-only vet clinic, and it’s been a miracle for me. I used to be terrified of the vet, but now I love going because there are no dog smells to make me stressed and scared. Bella: Also, all the vets and techs there are passionate about knowing everything there is to know about handling cats and giving them the best possible medical care. Thomas: And all the veterinarians are so nice! Why did you have to cry and hiss and carry on the last time you were there, Bella? Bella: I don’t know. I just didn’t want to be there, and I miss Doctor Sarah! Thomas: You know the other vets are very kind and sweet, too. You should try to be nicer to them. Bella: But that mean old vet wrenched open my mouth and pulled my tongue around! Thomas: That was because you were eating funny and Mama wanted to make sure your mouth wasn’t bothering you. Thomas: Well, if you wouldn’t eat cardboard and chew on straws, you wouldn’t get cuts in your mouth that make Mama worry. Bella: I’m not eating cardboard. I’m making art! I’m so misunderstood. Bella: I love you too, Thomas. Can I snuggle with you? Bella: Anyway … if you can’t find a cat-only veterinarian, you should look for a clinic that’s recognized by the American Association of Feline Practitioners as a Cat-Friendly Practice. Thomas: AAFP-designated cat-friendly practices have gone through a process that allows them to understand the unique needs of cats and handle even aggressive cats in a gentle, empathetic and caring manner. 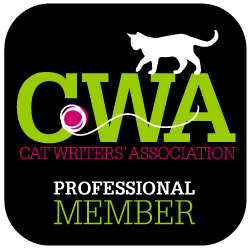 Bella: You can even use the AAFP’s site to search for a cat-friendly veterinarian in your area. Thomas: Another option would be to find a vet that makes house calls. Bella: Cats will certainly be less stressed about veterinary exams if the exam is done in their own territory. Thomas: Mama had a house-call vet come to us, and she was very nice. Bella: Siouxsie said she liked it because she didn’t have to get in the carrier and get her creaky knees all sore. Thomas: We certainly understand your concern about having your cat sedated for exams! The cool thing is that there are certain restraint techniques that can be used so that aggressive cats do not need to be sedated for examinations, and people who work at cat-only clinics and cat-friendly practices will know about these techniques. Bella: Don’t feel bad about your inability to get your little fractious fighter to enjoy the vet, but trust us — there are ways you and your vet can help. Thomas: What about you other readers? Do you have some advice for Aisha on helping her get her cat to chill out at the vet’s office? If you do, please share them in the comments. My Cat Is So Aggressive, I Can't Get Her To the Vet. Help! My Cat Has Started Attacking Her Kitty Friend. Help! My Cat Isn't the Same After His Outdoor Adventure. Help!